The JM Internet Group publishes many popular lists of business books. The company is announcing upgrades to both the format and content of its popular list of the best books on search engine optimization for small businesses. The new format is both friendly for Google and friendly for humans! 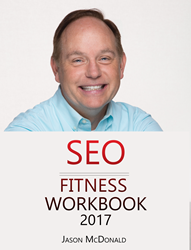 The JM Internet Group, a leader in online SEO training, is proud to announce a major revision to its list of SEO Books in time for 2018. The newly revised format is friendly not only for Google’s featured snippet structure but also for human readers.